When a single panel is just not enough. We offer a larger format in a 8-pg, 12-pg, and 16-pg layout to showcase either your products, or multiple advertisers at your event. Valpak of Southern Virginia provides you with a multitude of options beyond standard coupons. 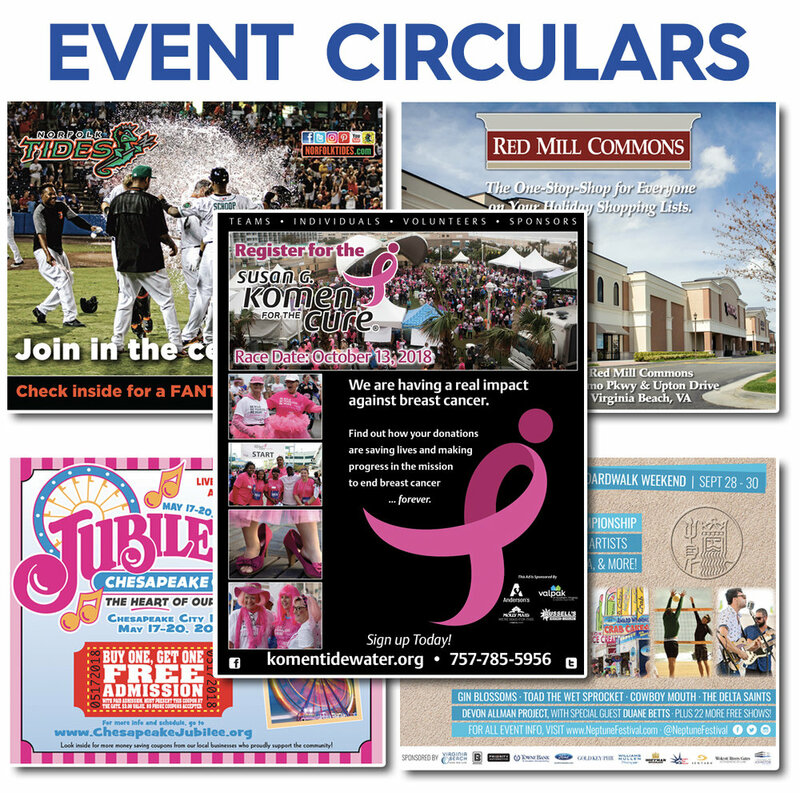 Capture consumer attention and incite action with our larger print formats: flyers and circulars. Flyers elevate your message and provide optimal exposure, while Special Event Circulars rival freestanding newspaper inserts. Larger print formats look and feel different than other inserts, ensuring exposure. Consider using these in between standard coupon mailings to increase consumer anticipation and engagement. Tailor your coupon to your business goals and budget with choice of coupon format and paper type. Need more space? Large format printing provides additional image areas to showcase your many products, services, locations, menus or events. Our larger print formats can be printed in bulk to provide you with additional takeout menus, flyers or handouts for your own local promotion.